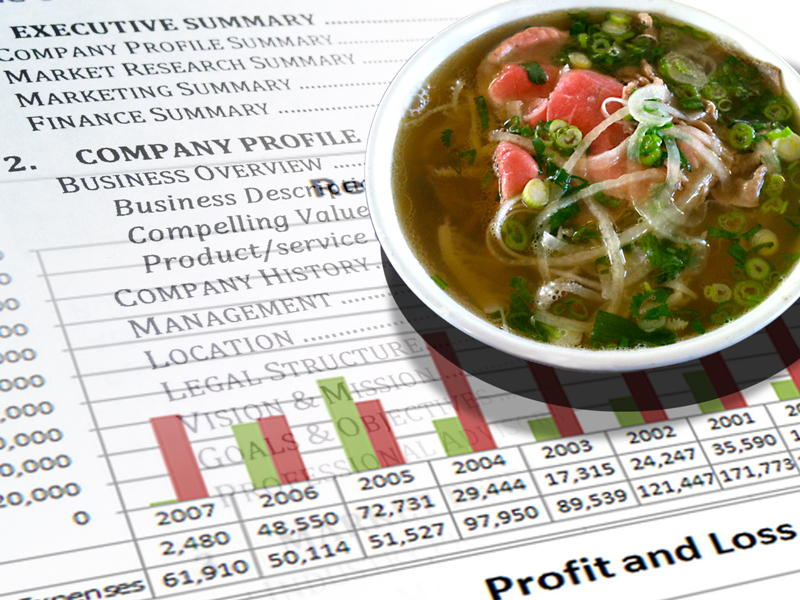 Home›featured›Pho Restaurant Business Plan, Part 1: What Is It Anyway? 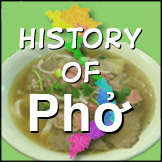 This is Part 1 of a series on pho restaurant business plan. Read Part 2, Part 3 and Part 4. Rather not do the business plan yourself? 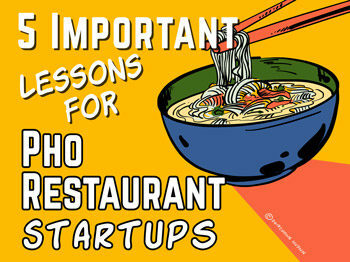 Then take advantage of my service to create a pho restaurant business plan for you. 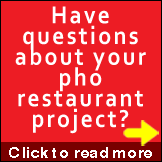 Do you have a pho restaurant business plan? It's very important that you have one, or create one, before doing anything else. As I’ve mentioned in a few other articles on how to open a pho restaurant, a business plan is one of the most critical things you can do to start up on the right path. With it you can see the right action to take at every turn. Without it you might as well take your money to Las Vegas because you’d have a much better time there. 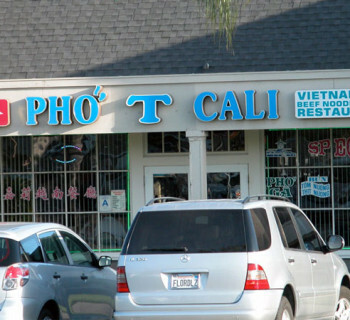 How much does it cost to open my pho restaurant? 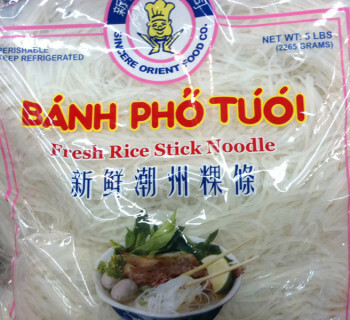 How do I find and hire a pho chef? 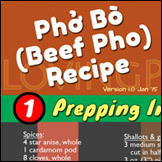 How do I make good and consistent pho? How do I know food and labor cost? For the serious entrepreneurs, you’d be surprised how many of these questions can be answered by developing your own business plan and the associated financial statement projection called the pro forma. In fact, there are questions that can ONLY be answered by the business plan and the pro forma. But first, what is a business plan anyway? A business plan is a document that tells the reader (your investor, your banker, even you yourself) about your restaurant concept and idea. It tells what you’re trying to do, why you’re approaching it the way you do, how you are going to achieve it, who will be responsible for carrying out the operation, and when will things happen. If you are about to spend a lot of money on a pho restaurant venture, then it makes sense to know what you need to do, down to the level of detail that will help you do it efficiently and properly. And in the right sequences. As you can see, the business plan for your pho restaurant should touch on all the major areas of running the business. As you work on developing the plan, you’ll begin to gain important insights into what you want to do versus what you need to do, which in turn will help you create a realistic plan to do them. Obviously, things change as time progresses. Therefore, your business plan is a living document that you update regularly as you head down the path to build your pho restaurant. Still even more people have no concept of what a pro forma is. This is essentially a financial statement that projects your pho restaurant performance into the future, and provides data for many parts in your pho restaurant business plan. Typical sections in the business plan that use the pro forma information include sections discussing startup costs, labor costs, revenue projection, and break-even points. The pro forma also supplies Profit and Loss (P & L) and cash flow statements projection. Despite what many people may think, foodservice is just like any other businesses. It's about the business first and foremost, then it's about the food second. And being a business is being all about the numbers. As an aspiring pho restaurateur, train yourself to be comfortable with working with your business' numbers. Know them well, and you'll be way ahead before you open for business. Note that the pro forma is required whether you get a bank loan or private investment. Those who want to help fund your project really care to know that you have the knowledge and understanding to run your own business. Even if you can fund your project yourself, you still should do a pro forma anyway. This way you show that you care about your money, where you should put it to use, and how it performs for you. Don't shortchange yourself by skipping this step. If you don't have the desire to do a business plan and pro forma for your business, then maybe you don't have the discipline to successfully run the business itself after you open it, assuming you get past the grand opening. In Part 2 of this series, I'll discuss in detail what are all included in an effective business plan and pro forma. For professional assistance with a business plan and pro forma, head over to the page Pho Restaurant Business Plan and book a FREE half-hour consultation to get started. Also please leave your feedback in the comments below and let me know what you think.